The ultimate unlimited money hack for Kritika The White Knights has arrived. This latest update features a lot of new content including skills and more. For those unfamiliar with it, the game is an action-packed RPG published by Gamevil. It features many character classes like the Blood Demon, the Berserker, the Blade, and many more. The gameplay is generic to the genre, where you fight hordes of monsters, but the rich graphics set this game apart. Give it a shot! 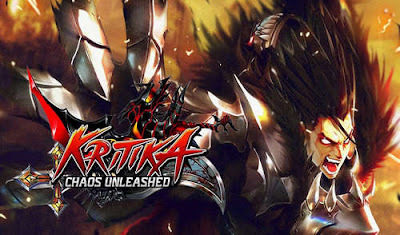 The Mod apk of Kritika The White Knights features unlimited HP, MP, and Attack Maxed hacks to help you advance through the different stages and kill the powerful evil bosses. Grab it now, test your skills, and destroy your enemies in various gameplay modes! Install apk, download data via wifi, and play online. Delete GP version..And install this one. 1. Edit your's day to 24/12/2014 before you open game. 2. When game load a notice "load not need network", Click Home button and change your day to automatic time. Back to game! cant seem to work.. need clear tutorial pls..
i think you have the original versin, NOT MODDED! since v2.17.3 its been really hard to make mods for Kritika! we're still working on it! you mean if i install the older version 2.17.3 its going to work? thanks Ryan. no awakening, just what u said! but the old version is outdated and u cant use it anymore.. im still waiting for the new mod..Kritika is hard to crack since its online!